Thanks to the way dates fell in the working calendar, the Statutory Holidays of Easter Break and ANZAC weekend were both in close proximity this year. What effect did this have on the property market? Whilst workers rejoiced over the fact that they could take just 5 days of annual leave to get a whopping 12 days off in return, it wasn’t such great news for the property market. With many people taking extended leave in April, it is likely to have impacted on the property market. 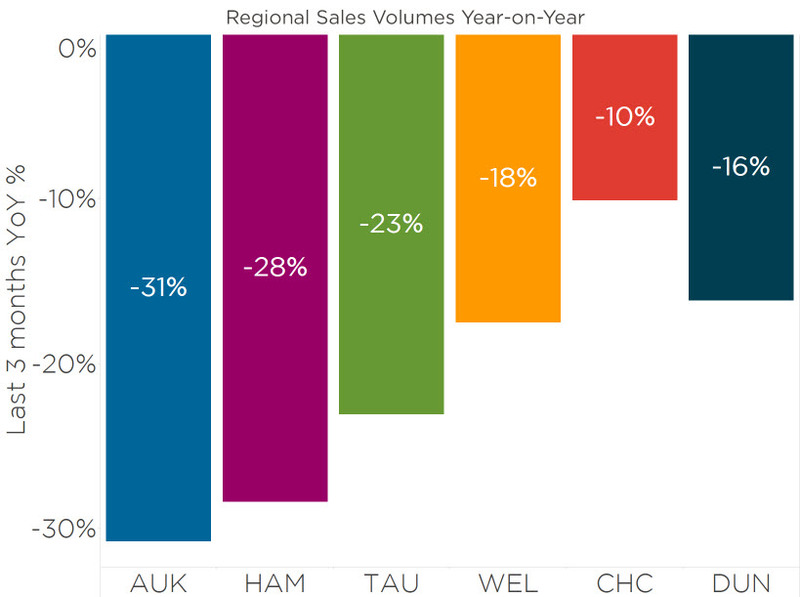 A slow-down in sales activity is particularly evident in Auckland - over the previous three months we’ve seen a 30% reduction in sales volumes over the same three months the year previous. Whilst the impact of the slow-down lessens as you move South, it is nevertheless nationwide. This slowing of sales activity follows the drop in demand that we’ve seen and falling sales activity usually means less upward price pressure.